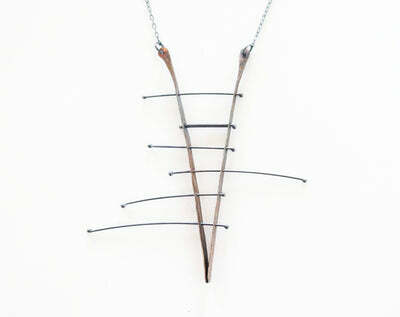 Embellish your neck with this fully charged abstract necklace. 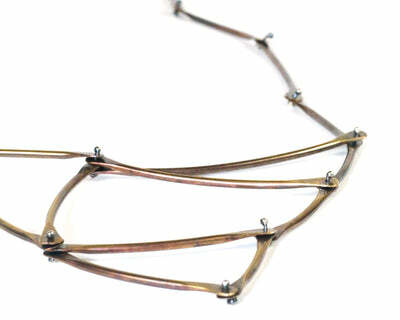 Contemporary and whimsical, the brass forged wires are representational of feathers. 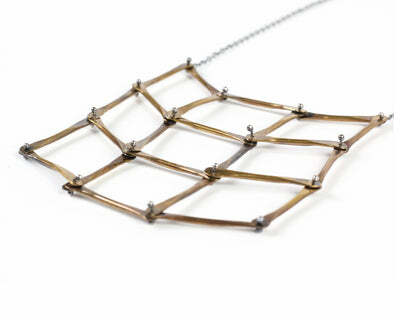 The linear quality of the brass combined with the multiple layers of the forged wires give this necklace a playfully move-able and sophisticated quality. 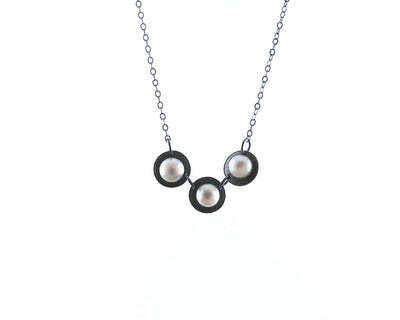 The pendant is 3 " long and hangs on a 17 " sterling silver chain, which can be adjusted to any length upon request.